hows that little guy been with your corals? So far so good. It picks around the rocks and slowly flutters around the tank. No tasting corals yet. I did see it peck at a snail but then left it alone. Gets along well with all the other fish and cleaner shrimp. I have a good mix of LPS and soft corals plus a few monti caps. 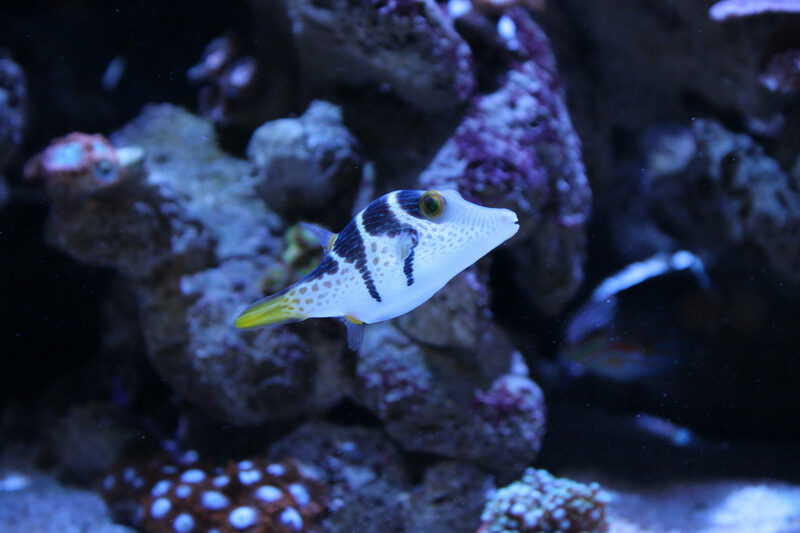 The puffer tends to swim out in the open and occasionally pick at a rock but has never touched a coral. I'd say snail are more at risk but she has only picked at a couple. I'm sure it's hit or miss. I got this one from another reef tank and has some history which I think is the key.